A magnificent rendition of the Virgin Mary with her head inclined in reverence in prayer. She holds a rosary in her gentle hands. 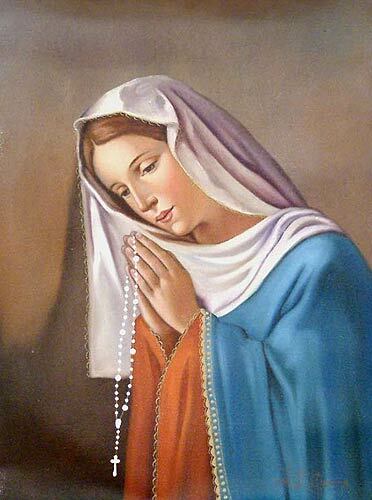 Each bead represents a "Hail Mary," repeated fifteen times in a group of ten. Between each group, the "Our Father" is prayed and a mystery of the faith is contemplated. Titled "La Virgen Maria Rezando" in Spanish.